In the current politically charged environment, construction owners must continue to meet financial challenges, including tariffs on products frequently used in their industry. Notably, tariffs have been imposed on aluminum and steel, among other commodities. What’s more, the situation is fluid and constantly evolving. How can you navigate through this minefield? 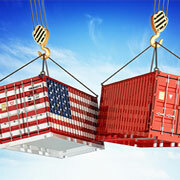 Calmly deal with the tariffs in your typical businesslike manner, guided by your professional advisors. A tariff is akin to a tax on imported goods. Generally, it is paid directly by the importer, not by the exporting country. When the United States imposes a tariff on goods from a foreign country, it is paid to the U.S. Customs and Border Protection Service at the border by a U.S. broker representing an importer. President Trump has aggressively instituted tariffs. After authorizing a 30% tariff on solar panels and a 20% tariff on washing machines, the president imposed a 25% tariff on steel and a 10% tariff on aluminum imported from most countries. On June 1, 2018, these tariffs were extended to Canada, Mexico and the European Union. (Only Australia and Argentina remain exempt). Five days later, the Trump administration announced a 25% tariff for hundreds of categories of goods imported from China. With that in mind, here are the answers to several questions that construction firm owners may have about the recent introduction of tariffs. Q. How can you best manage construction projects started before the tariffs went into effect? A. It depends on the contract and the application of state laws. Generally, with contracts executed before the tariffs are effective, the tariffs may be part of the cost of the work for “cost-plus” contracts. However, the tariffs may cause you to exceed the guaranteed maximum price. If a delay is due to a shortage, you may be granted some relief under the contract. If the contract calls for a lump sum and a fixed price, the contractor generally assumes the risk of subsequent price increases. Any relief would have to be found in other provisions in the contract. Unfortunately, tariffs haven’t been specifically stated in these contracts. A firm might assert that they may be protected from tariffs because they are “taxes” under certain clauses. However, most legal specialists believe this argument lacks merit in the courts. A force majeure clause may provide relief, based on the theory that the tariffs cause a delay beyond the contractor’s control. These clauses relieve the parties from fulfilling their contractual obligations when certain circumstances arise that can’t be changed or influenced by either party. If you’re operating under one of these theories, be careful to observe the requirements for filing claims and providing notice. Q. How can you best manage construction projects under the current situation involving tariffs? A. Keep in mind that the imposition of tariffs can change at a moment’s notice, they currently are real and they pose a potential threat to your business. When you’re presented with tariff-related problems, check the status of court opinions, regulations and orders before developing a strategy to counteract tariffs. Confront the issue head-on in any contracts you are negotiating and aim to include tariffs in the language. In a best-case scenario, the force majeure clause would clearly cover all tariffs — not just aluminum and steel — and include broad language for other actions by government authorities. Ideally, you would also make sure this language is included in the terms of a cost-plus contract. Finally, remember that time is a critical factor. Not only should the contract reflect considerations for an increased price, it would preferably give you more time to complete the work. Q. How can you best plan for construction projects in the future? A. As contracts and their interpretation fall under state law, it’s essential to incorporate this into negotiations. Typically, firms and contractors in the construction industry will want to rely on provisions where subcontractors will be granted additional money and time when tariffs are imposed on the general contractor. Practically speaking, much of this is best left to the attorneys, so make sure you have a reputable practitioner on your side who is experienced in construction matters. With the benefit of foresight, take the time to research the situation and address these issues well before your crews begin working on the job. Give yourself enough time to negotiate the key terms into the contract for your satisfaction. Higher costs for aluminum and steel could cause construction to slow down and affect infrastructure spending. According to the Trade Partnership, an economic consulting group, around 30,000 jobs would be lost in the construction industry as a direct result of the tariffs. Price volatility may ensue, meaning it may be uncertain what you will have to pay for materials if you use existing suppliers. If you can’t import what you expected from an existing supplier, you may be forced into using a new supplier that could charge more for materials. Contractors and subcontractors will have to factor higher prices and price risk into their bids. This could cause a spike in bids.